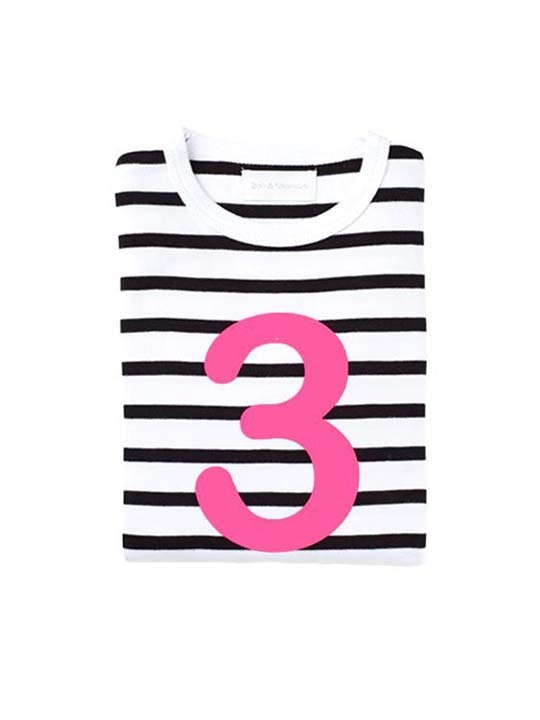 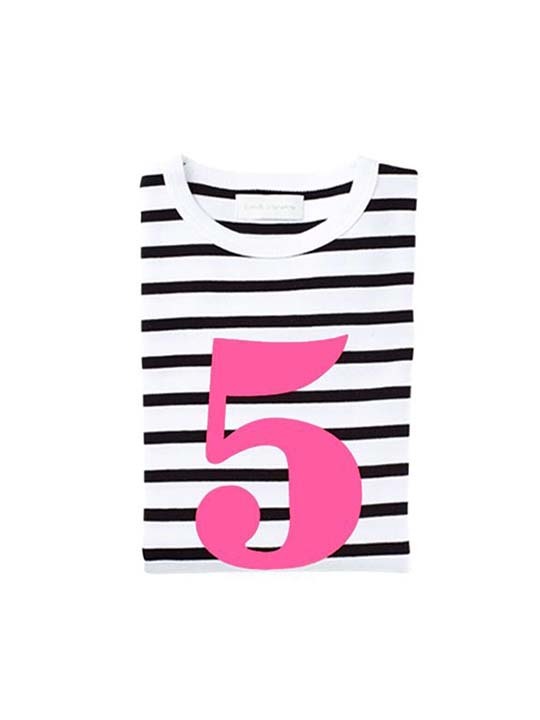 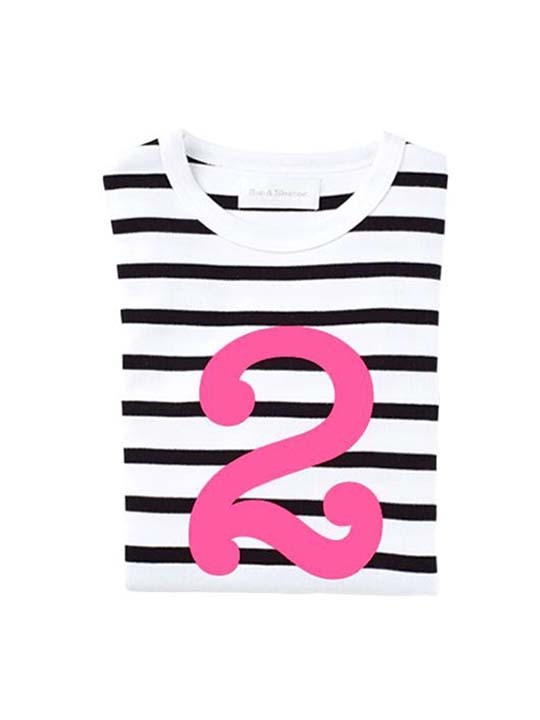 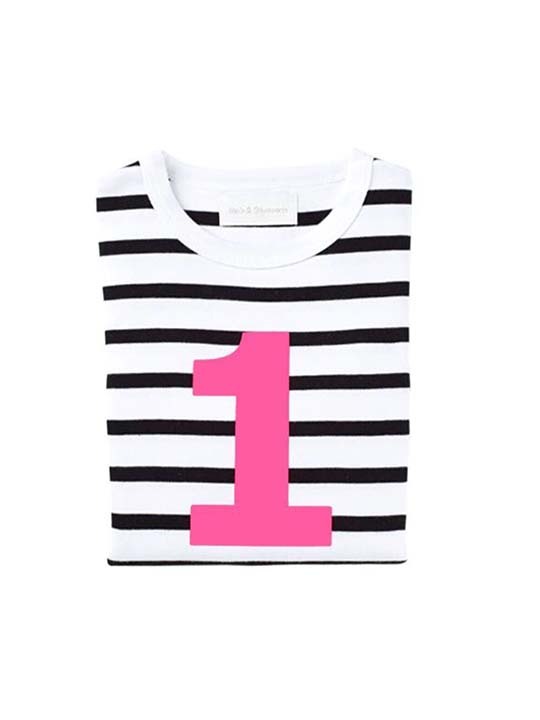 This gorgeous number T-shirt features a stripe patterned of two different colours and a bright number from 1-5 on the front. 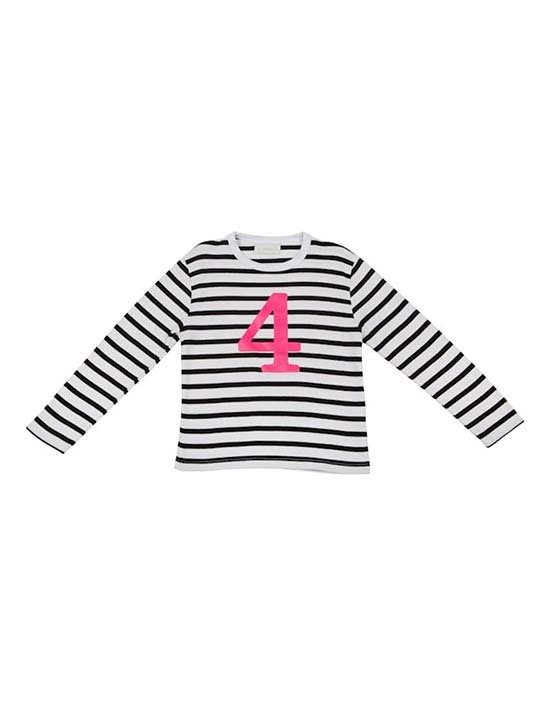 Available from ages 1-5 in a wide range of colours. 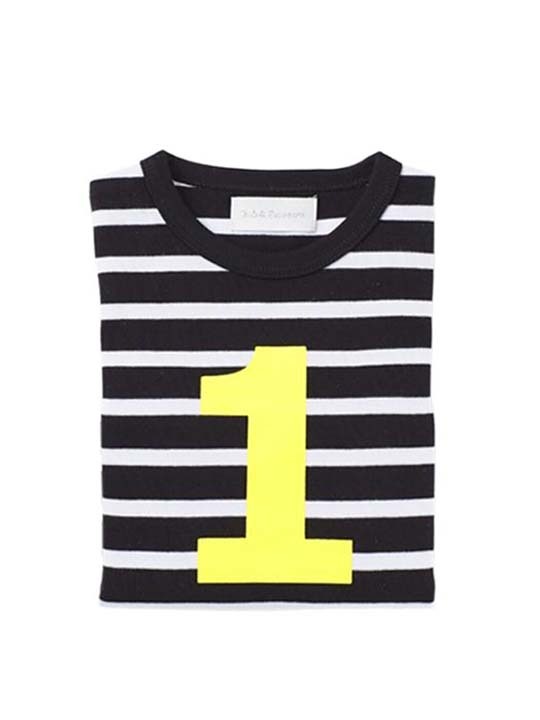 The perfect birthday present! 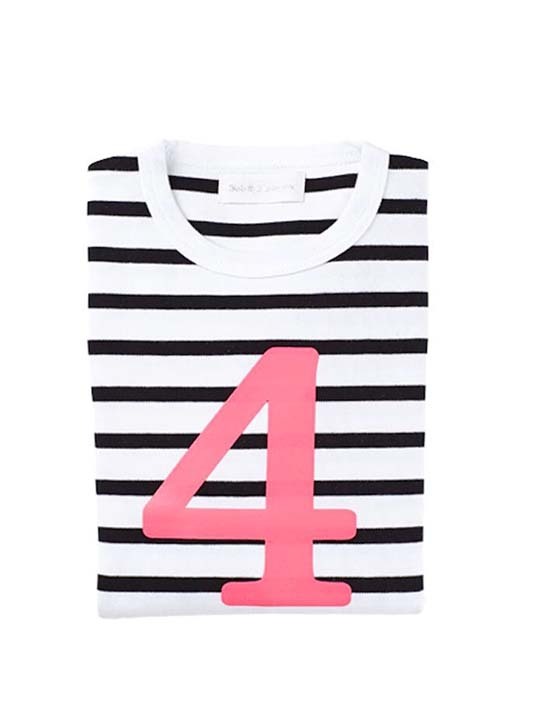 Tags: black and pink breton, White. 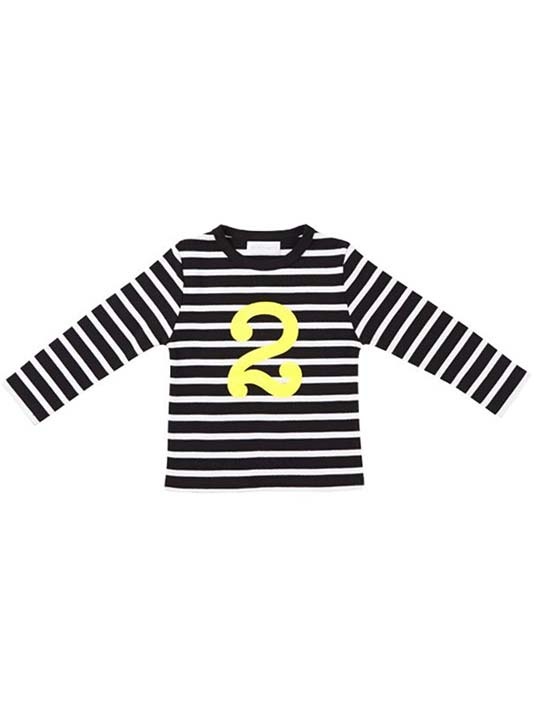 ©2019 Peekaboo Kids - Children's Boutique - Whitstable · Designed by JH.